This morning I spent a couple of hours chasing kingfish in the shallows in the Hauraki Gulf. Uncharacteristically they did not start scouring the flats until the sun was well up and the tide started to ebb. This was probably due to the king tide cycle that we are in the midst of. My colleague picked that this would happen as there was no panic evident in the small bait fish dancing in close until the tide turned. They went from carefree to high alert in the space of 10 minutes. You could sense that they knew that things were going to get interesting. There is only one thing more exhilarating than seeing the massive bow wave of a legal kingfish moving steadily towards you about two rod lengths from the shore and that is when the kingfish locks onto the fly or lure that you have cast and hounds the lure to your rod tip without inhaling. This happened to me four times this morning. It did not matter how fast I stripped or wound the kingfish just shadowed the lure, its nose within snorting distance of my offering. Unfortunately I had to head home at 9.30 but I have a feeling that if I’d stayed then one of the yellow tailed hunters would have eventually made a mistake. Time is running out to hunt kingfish in the shallows as they will gradually leave as autumn progresses and the water temperature drops. I’m picking that they’ll be gone by the end of May so get out there and make the most of the time remaining. 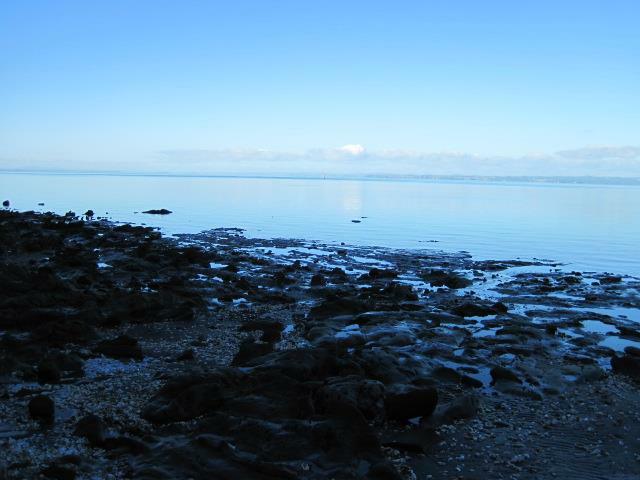 What follows is an account of an early spring session on the Manukau, just to whet your appetite …. 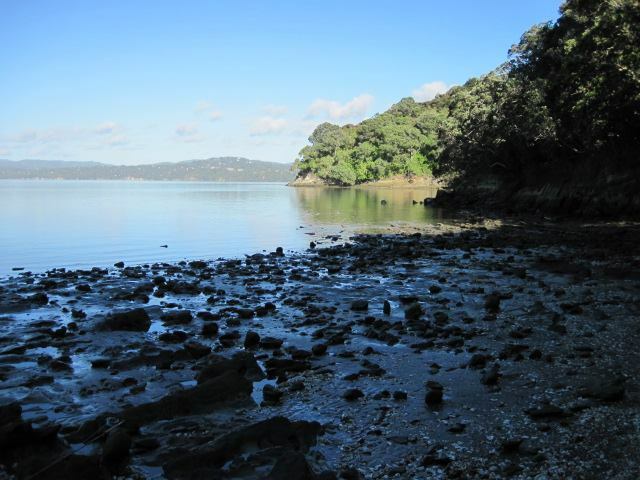 “As the endless march of the seasons moves inexorably onwards, and the water starts to warm with the first flush of spring, large kahawai, trevally and kingfish start to reappear in the estuaries. The kahawai and trevally follow the bait fish inshore and the kingfish in turn follow the kahawai. These fish all start to feature more in dawn sessions from now on and the action can be frenetic. This is a special time to hit the flats with a fly or spinning rod. I ventured out this morning with my fly rod to my local Manukau spot for a couple of hours of aquatic relaxation therapy. My dawn arrival was about one hour after high tide and the conditions were idyllic. Glass calm harbour, sun just over the bush canopy and starting to apply constant heat to the margins. Lots of fish activity. In close everything from smelt to 10″ yellow eyed mullet were feeding hungrily, splashing intermittently on the surface. Further out, well beyond casting range, grey mullet were also feeding greedily in the surface film. Dorsal fins and nebs appearing with monotonous regularity. The bay was alive and it one of those days where you just knew that a big predator was going to explode into action at any minute. Nothing happened for about 30 minutes and I’d slipped into a metronomic cycle of cast and retrieve. The Crease fly splashing across the surface just like it was one of the inhabitants. Then suddenly, about 50 metres away, there was a huge boil in close. The fish turned and headed back out into deeper water pushing a huge bow wave. Calm descended. Nothing moved for 10 minutes but the air was pregnant with anticipation. I kept on casting and hooked a straggling clump of pohutukawa high on the back cast. I turned, gave the fly line a tug and the Crease fly popped free landing at my feet along with 50′ of coiled fly line. I picked up the fly, examined it and started to strip in line in readiness to cast. As I was doing this a massive kingfish decided to charge into the knee deep shallows showering terrified yellow eyed mullet in all directions as it homed in on breakfast. It wallowed on the surface (probably swallowing a mullet), spun and headed back out into the channel. By now my heart was absolutely pumping. I fired off a cast at it’s departing form but it carried on resolutely. I kept on hammering the area where it had been knowing that it would be back. Five casts later and in it came. This time though it veered off and started to track the Crease fly that I was stripping like a man possessed. Closer and closer it came. About 30′ away it made its move and monstered the fly. In the heat of the moment I instinctively lifted the rod tip (rather than strip struck), pricked the fish and missed it. It turned showed its massive flank and headed off, never to be seen again. It was a huge kingfish well over a metre long. The air matched the sky colour for a minute or two as I cursed my ineptitude and lineage. I kept on fishing with the Crease fly for another 30 minutes without another follow. Then I changed to a Black Magic Jelly bean which I allowed to sink slowly onto the sand before retrieving. This was getting hit regularly, probably by small snapper, as eventually it came back tail less. By now it was 9.30 am and time to head home to face the day. No prizes for guessing where you’ll find me tomorrow morning”. There is probably no greater visual thrill in saltwater fly or lure fishing than seeing a massive predator charge into shallows that are less than knee deep and scatter bait fish in all directions, especially if you are standing in the midst of the carnage. Get out there and have a go while you still can. You will not regret it. Previous Previous post: WHICH MONTHS ARE BEST TO FISH THE TONGARIRO?